This, my dear reader, is the little paragraph at the back of my book: “My Nest in Kurdistan”. May 16, 2011. The birth of one of the biggest achievements in my 21 year old life (at the time I was 21). It was a simple phone call. In fact a 30 second phone call, I can’t remember much (fish memory!) but Kak Publisher asked me to visit when ever I had time. And of course I leave everything and rush out (what could be more important at that second?!). 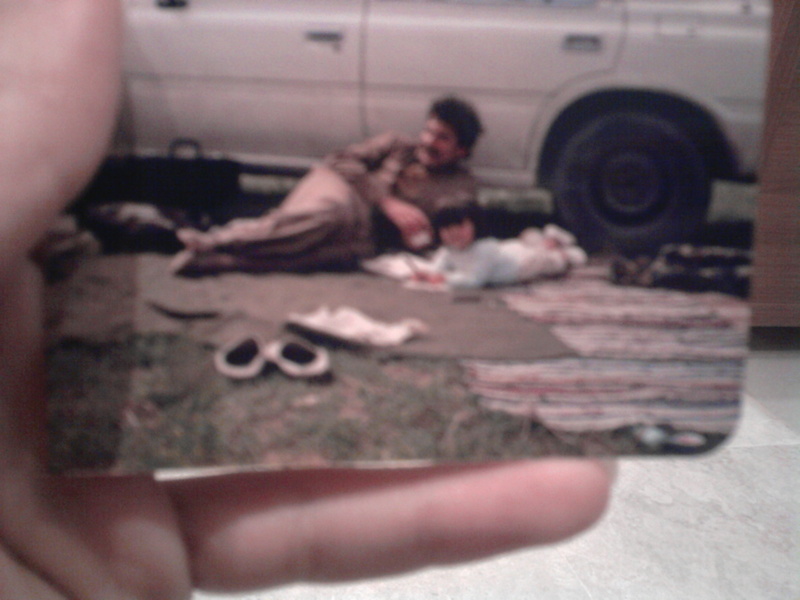 With the most amazing man in the world, dad, when I was…. 3? When I look at those pictures of my childhood, they don’t bring back memories. Nothing comes to mind except one occasion. Only one event from my childhood. I remember it clearly. A summer evening, before it was completely dark. Grandma was at our place, there was a knock at the door and within minutes we heard gunshots. I don’t recall what happened in between, but I clearly see my mother grab my baby brother and we went under the stairs. We hid, holding each other tightly. My mother was crying. And the gunshots continued. Dad, we thought, was gone; we’d lost him. Four men had come on a mission to kill. Not long ago, before the book was published, I went to see the bullet holes still on the walls of the house where we once lived. The house where I hid under the stairs, in the arms of my mother, listening to gunshots and thinking “dad is gone.” After the silence outside, mom lost consciousness and I was on her chest, crying. Moments later I was in my father’s arms, this is all I remember from my childhood. 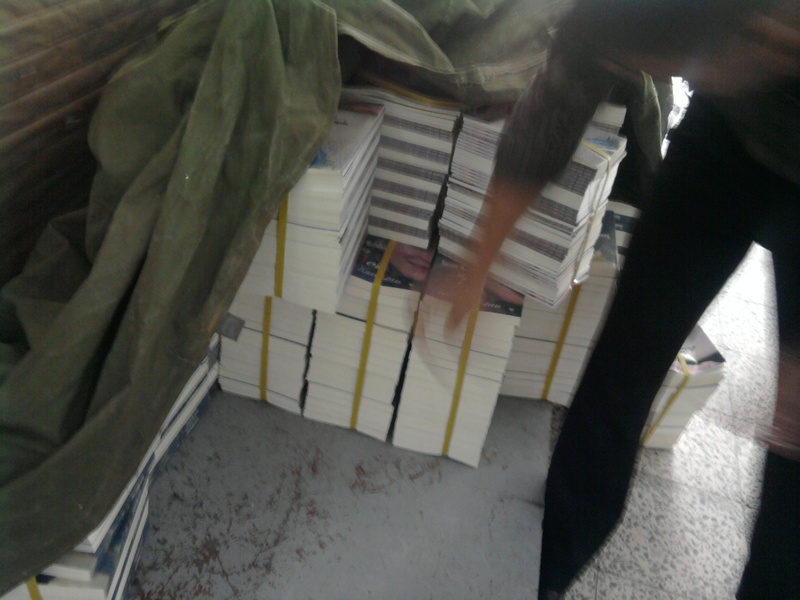 The second I saw my book, My Nest in Kurdistan, at the publishing house, dozens of them stacked on top of each other, that’s what I remembered. Could it be, that same girl, who sat in fear under the stairs? That same girl refers to the same place as a Nest? Today, I feel as though my pen is a bullet. A soft bullet. A bullet of hope. What was the most amazing part of this experience is that when I came home with about 75 of my personal copies of the book, on the way home I began to brainstorm all the people who I had to give a copy to. Back home on the kitchen table I wrote a list, and had to give priority of who are the individuals who I was going to dedicated a copy to. Only on the kitchen table did I realize how lucky I am. I realized the number of people who have influenced my life. 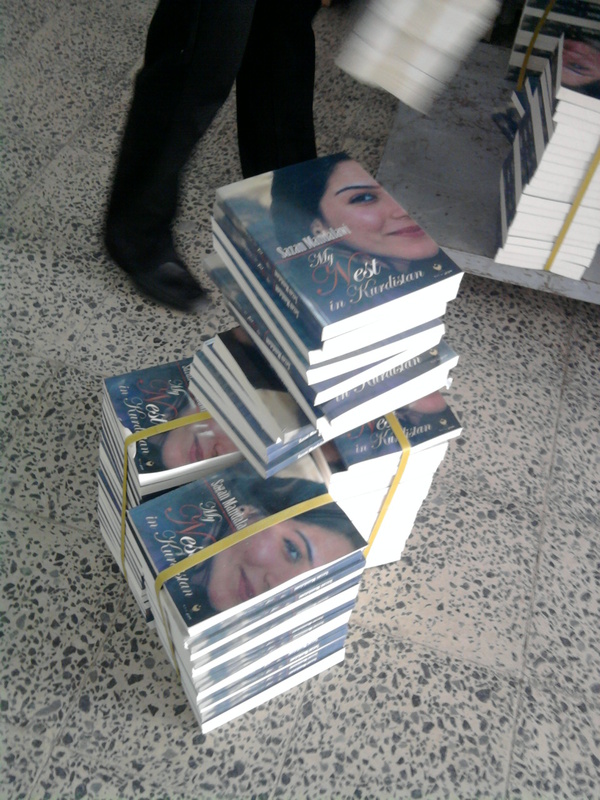 I wished to dedicate copies of the book to so many people, the elderly friends in the Retirement home, the men in the Erbil Retirement Garden, the man who looks after insane individuals in the back room of his Chaykhana, the gardener, the many women who I have met in the villages and on Kurdish mountains. The problem is that all these people can’t read in English. These people, the simplest in the world, are those who have inspired me the most. Since the above post the book has been translated into Arabic and the English version was revised, but I want to add a few more sections before a second publication in the future. Insh’Allah. I will make sure by the end of 2015 it can be purchased online.